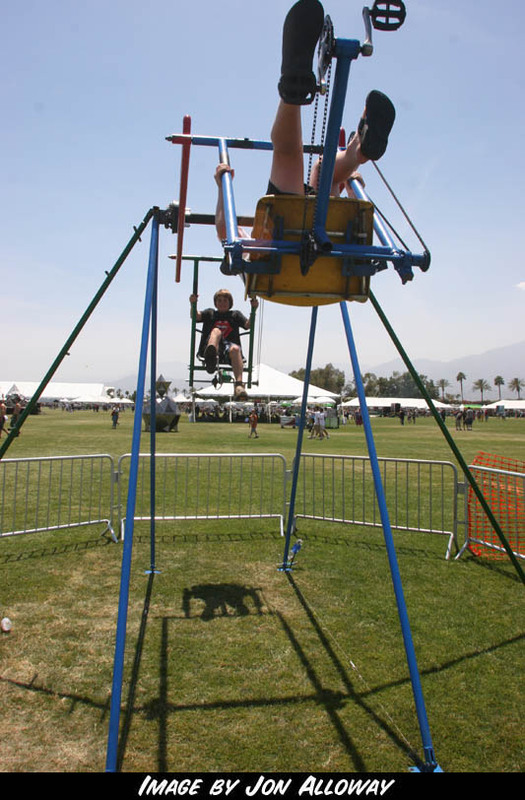 The two person pedal powered Ferris wheel is quite a thrill to ride and mesmerizing to watch. Feels like a swing that goes all the way over the bar. Developed by Paul the Plumber, it uses heavy duty car rotors and intricate bike parts. 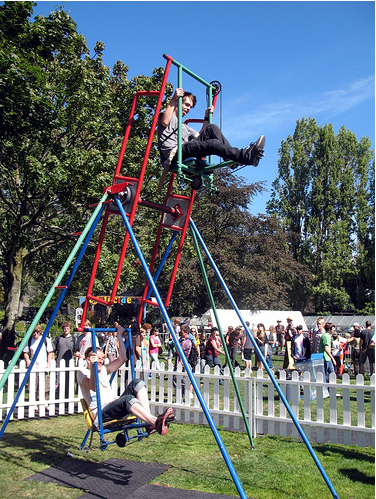 Steve Stabnick (front) and Sean Pudney ride Cyclecide's human-powered Ferris wheel. Stabnick said it was a bit scary climbing to get on, and it took a few tries to get going and balance out their differences in weight. Once they got the hang of it, though, it was smooth and effortless to run.